Completed in 1875, this is the grandest example of high Victorian Gothic Memorial architecture you will ever see. 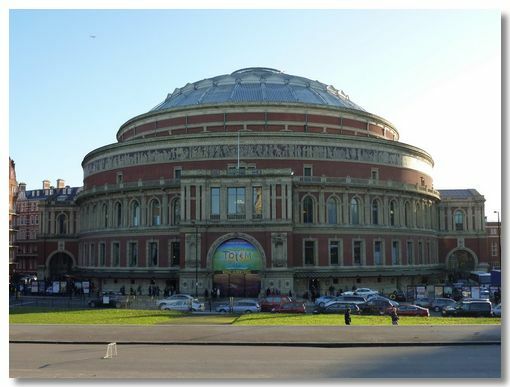 Designed by the prolific Sir George Gilbert Scott it stands in Kensington Gardens overlooking the Royal Albert Hall. Built when the British Empire was at its height, it reflects the British-centred, cultural world view of its time. At the extreme four corners of the complex are sculpture groups representing the main continents of the world - Europe, Asia, Africa and the Americas. The photograph below shows Asia. The only hint that this represents Asia is the Elephant (with small not large ears!). Why on earth dressing the figures in Greek togas should indicate anything "Asian" beats me. Also I think it is a tad disingenuous (as well as extremely condescending - verging on titillation) to show a bare breasted woman on the elephant. 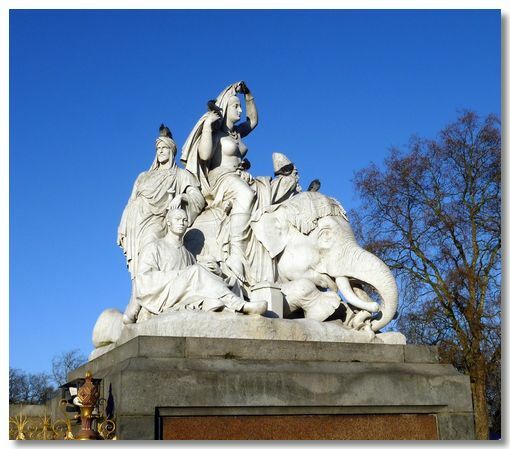 Obviously the Victorians didn't realise that those in the Indian sub-continent were a lot more modest in public than the sculptor would have us believe. 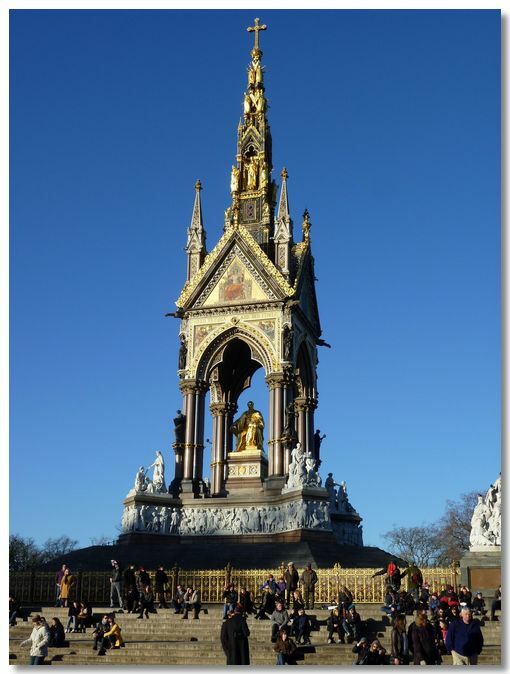 In a recent restoration, I believe that more gold leaf was used to cover the statue of Prince Albert, than has been used in any other public monument in the UK. 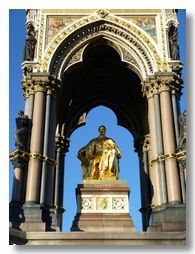 Prince Albert in his gilded throne broods over the Albert Hall across Kensington Gore. 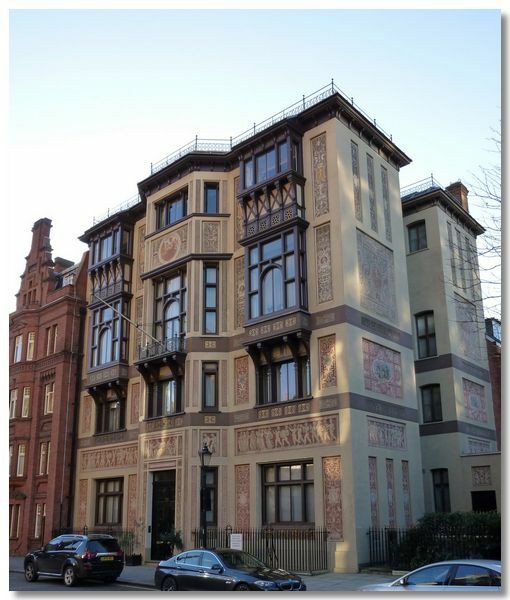 Looking to the West of the Albert Hall is this quaint oddity of a building, home to the Royal College of Organists for many years, but now converted to private apartments. 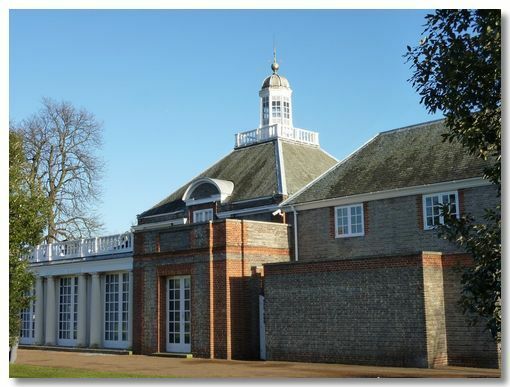 Nearby to the Albert Memorial is the Serpentine Gallery in Kensington Gardens. Originally a charming tea house, it has been adapted to become an innovative Art Gallery.